WATERPROOF, Shock & Vibration Resistant, Lightweight (LESS THAN 4 POUNDS), compact charger designed for either portable operation or permanent mounting. Charges and maintains both flooded and sealed, maintenance free, AGM, lead acid batteries. Float / Maintenance function maintains batteries at proper storage voltage without the damaging effects caused by trickled chargers. 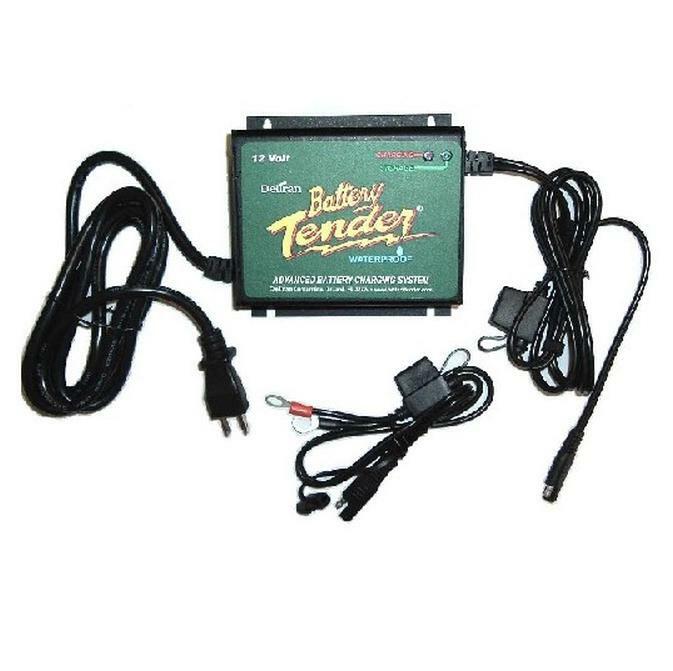 The Power Tender PLUS is easy to use, it?s rugged, its compact, it's packed with power, and it?s backed by the reputation of the undisputed battery charger industry leader, DELTRAN.
? Lightweight?LESS THAN 4 POUNDS!
? Charges both flooded & sealed maintenance free lead acid batteries.
? Charges any size (capacity) lead acid battery.
? Reverse Polarity Protection (VIA EXTERNAL IN-LINE FUSE).
? Complete FOUR-Step Charging Program (Initialization, Bulk, Absorption, & Float / Maintenance).